Discover breathtaking scenery at Skyview Levels. Here, wake up every day in exclusive luxury apartments from levels 17 till 26, and enjoy stunning views of the lush green landscape and immaculate greens of the Trump International Golf Club Dubai. 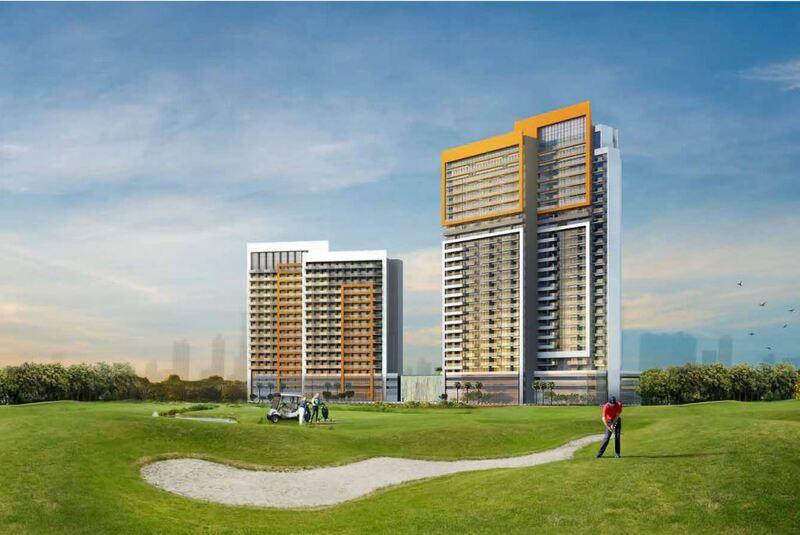 Enhance your lifestyle and live lavishly at GolfVita residential tower. Wake up in elegantly designed apartments with enthralling views of the Trump International Golf Club Dubai, and spend your evenings surrounded by loved ones in outstanding retail and leisure spaces at DAMAC Hills. Here, discover a world-class lifestyle with the warmth of home. Inside Skyview Levels, the elegantly styled lobby, and the apartments’ tastefully appointed interiors, fitted kitchens, spacious bathrooms and more, make coming home an even more eagerly anticipated experience.